Hi! 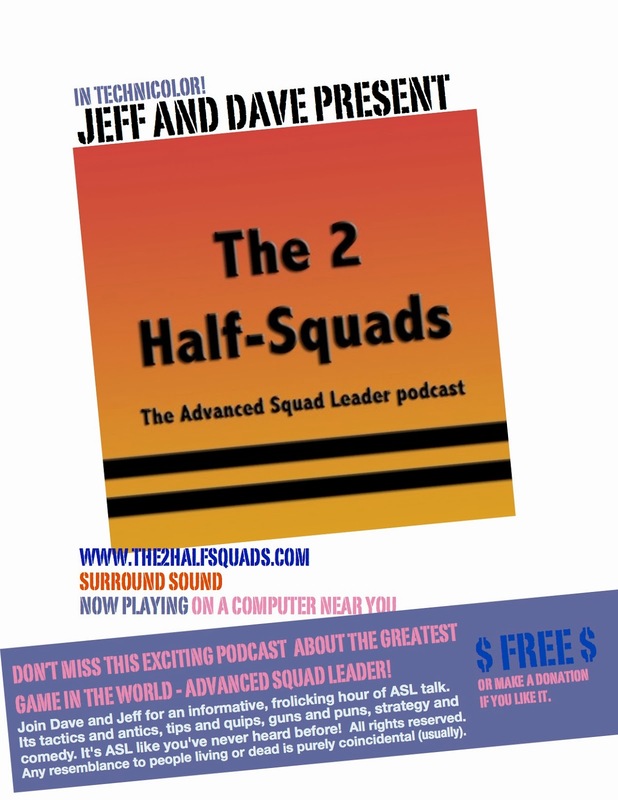 Welcome to the not-so-long awaited part two of The 2 Half-Squads Greatest Hits series. Did we say series? Well, only time will tell. This show covers episodes 21-35, and boy did we ever have to scrape the bottom of the barrel to come up with enough "atrocities" "hits" for this one. Is it possible we should not even try to present such a collection? If you'd like us to refrain from such endeavors in the future, just click that Donate button on this page. Oh yes, we can be bought -- and for a lot less than you'd think! But here we go anyway. Please try to enjoy. Just saying . . . .
Do I have to say it? Really?! I was so looking forward to this one ( the greatest hits part 1 was so good...) I have to say, the sound effects were so distracting, it was hard to listen. I can imagine how much time it took you guys to edit the show adding effects ike that, and I gotta say it's not necessary. Your content is so good, and engaging, you don't need animal noises and sound effects.Still a fan... I rarely miss an episode, I love your show. I hope you'll take it into consideration. OK, Dave once again takes the blame for the animal sounds. He thought it might be a different way to signify breaks between clips. He has heard you loud and clear and will stick to a simple beep or tone for Greatest Hits Part 3 (should there be one). I liked the joke about the spring loaded PIAT. Funny. Speaking of Effects in between clips, what is that squealing sound? A bad Godzilla cry? Yeah the animal sounds were painful. Was this an ASL podcast?